Unlimited free game play, in app purchase for cosmetics only. Quick games, Play anywhere anytime. Death defying drifts through traffic will have you on the edge of your seat. You can also pick from a range of colours. Giving you 1000's of possible combinations. Simple to play, tap the screen to change direction. No need to swipe, if you are drifting right tap anywhere to drift left. If you are drifting left tap anywhere to drift right. 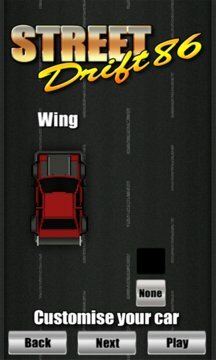 Risk versus reward game play makes Street Drift 86 easy to learn but difficult to master. Have you got what it takes to drift your way to the top of the leader board? 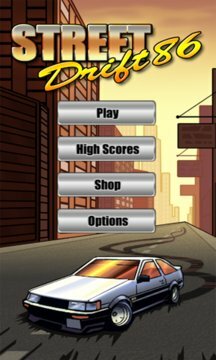 Street Drift 86 is the debut release from Max Power Games, a small team of ex console developers located in Brisbane, Australia. We appreciate your support and hope you enjoy our game. Visit the store to unlock full customisation, or test out the different looks by sharing with your friends.